Keeping your data secure is important. You don’t want any person or device to access your data unless you allow them to. But as more and more companies migrate to the cloud, it becomes harder for them to internally address security concerns. How can you make sure your data is safe when it’s stored on a virtual network with servers hundreds of miles away from your workplace? This has introduced a need for dedicated cloud security tools. These tools work with cloud networks to detect, diagnose, and analyze security threats. Cloud networks allow for a lot of connectivity, and cloud security ensures that nothing that connects to you can hurt your system. But breaches and malware have not gone away; as such, cloud security must adapt to combat any threats that arrive in the future. In short, security must evolve alongside the dangers it protects you from. In that spirit, we’ve turned our gaze to the future of cloud security. Whether it’s the release of an innovative new product, a bump in venture capital, or inclusion in one of the top analyst reports, these are the providers that have earned watch list status from Solutions Review for the year ahead. The vendors are listed in alphabetical order and have specific areas of expertise. Billing themselves as a “security-as-a-service” tool, Armor provides threat analysis and prevention on cloud networks through their tool Spartan. Spartan’s tools allow users to monitor potential risks to their network and also ensure data compliance. Last year, Armor announced that Mark Woodward would be taking over as CEO, stating on their newsroom site that they hope to become the leader in cloud security under Woodward’s direction. Avid Secure’s AI-driven cloud security platform provides cloud compliance and monitoring services. The program uses artificial intelligence as well as automation to respond to threats as they happen. Avid Secure can integrate with AWS, Azure, and SentinelOne, among other cloud service providers. The company, founded by several IT security personnel and leaders, provides security solutions for cloud networks. Avid Secure was recently acquired by British security software company Sophos. Netskope provides data protection and activity control via its cloud security platform. Their focus is on accounting for security blind spots, targeting gaps in security that come as a result of improperly configuring cloud security. Last year, Netskope launched a web security comparability update called Netskope for Web. In 2018, Gartner named Netskope as a Leader in the Magic Quadrant for Cloud Access Security Brokers. One of the major features of Lacework’s cloud security platform, PolyGraph, focuses on providing automated security for cloud networks. Lacework automates security features like event analysis, threat detection, and detection of unprotected cloud workloads. They recently updated their software to support Kubernetes, which is slowly becoming a dominant container deployment program. Gartner named Lacework a Cool Vendor for Cloud Security in 2018, citing their work with machine learning and automation. Lookout is a mobile and cloud security provider that focuses on a post-perimeter security mindset. Since more and more companies are integrating mobile devices onto their networks, the need to control mobile access to company data becomes more important. Lookout actively evaluates risks while monitoring mobile devices to allow for continuous data access for non-harmful systems. Forbes listed Lookout as one of their 2018 Cloud 100, a list that ranks the best private cloud companies. Symantec is an enterprise cyber-security service that has several branches of security tools, including a suite of cloud security programs. Their Integrated Cyber Defense Platform secures cloud, web, email, and on-premises systems. They also allow users to migrate between various cloud platforms in addition to protecting user data and maintaining compliance. Symantec was named one of Forbes’ 100 Just Companies for 2019 and received the CRN Product of the Year award in the Security-Cloud Category. 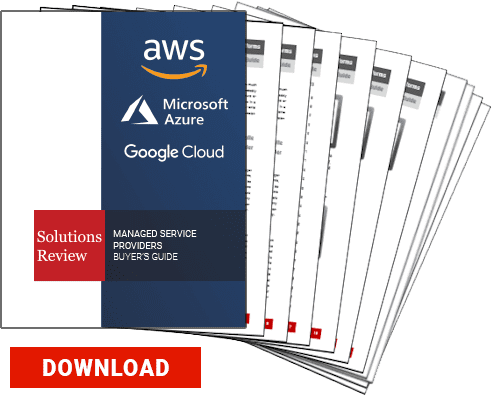 Next Next post: Amazon Web Services vs. Azure vs. Google Cloud; What’s the Difference?